How to Check Your Hotel Room for Bed Bugs #Infographic ~ Visualistan '+g+"
Bed bugs have become increasingly more popular in homes and businesses across the world over the past couple of years. One of the main contributors behind this is the rise in global travel. Accommodation facilities such as hotels, motels, hostels and travel lodges play a big role in the spread of bed bugs due to the high amount of human traffic they receive. 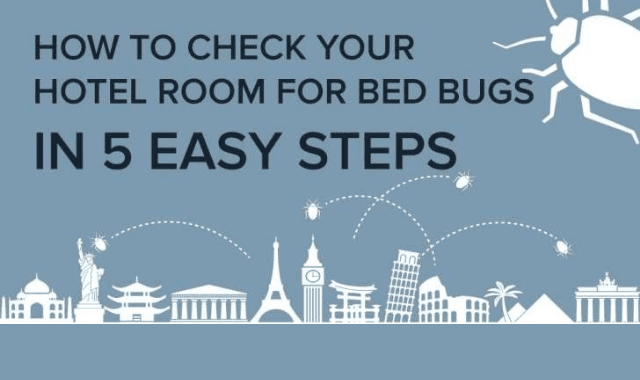 View this infographic below to discover how you can check your hotel room for bed bugs in 5 easy steps.